Go get your bucket list. I’ll wait while you go find it. 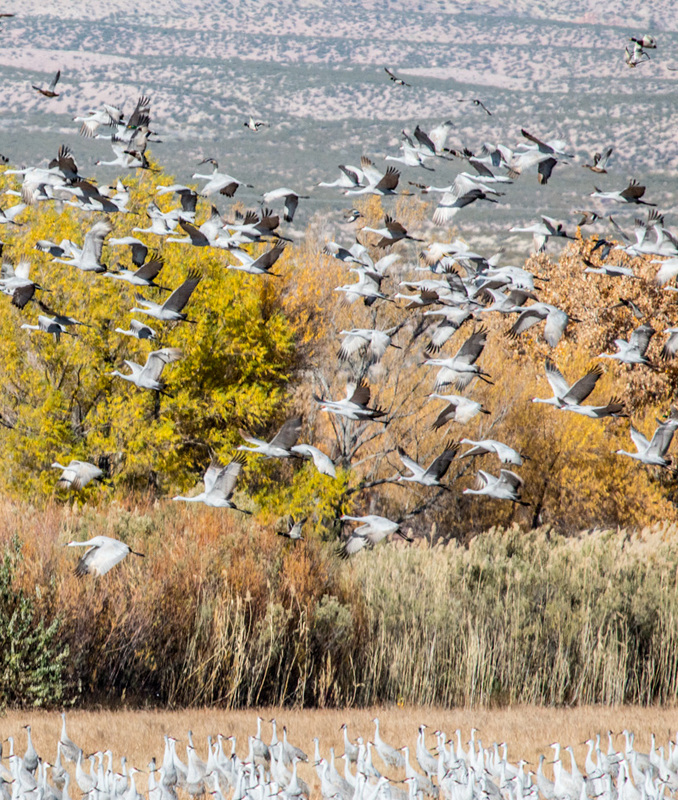 Bosque del Apache National Wildlife Refuge. √ and √! Our bucket lists are now two items shorter! I’ve been a space fan since the late ’50s, when my dad took me out in the yard and showed me one of our first two satellites—Explorer or Vanguard—at this point I don’t remember which. I remember watching all of the Project Mercury launches on TV with him. 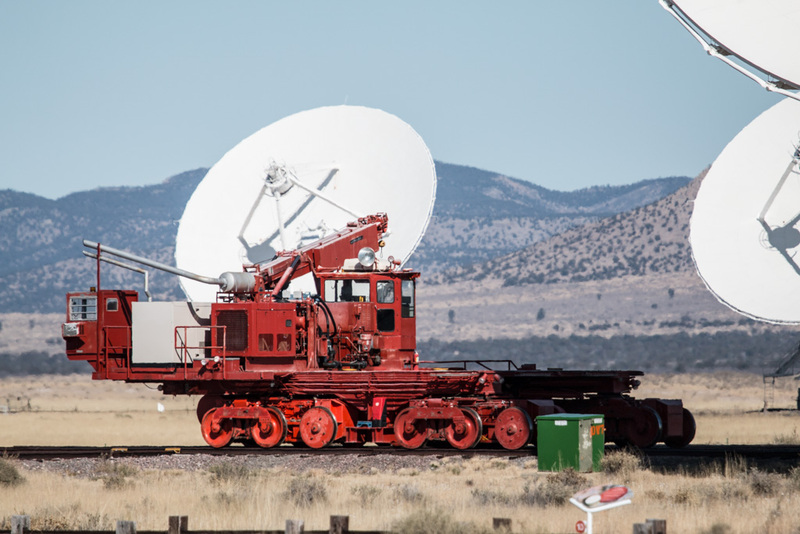 I’ve known about the VLA for a long time (yes, even before the movie Contact! ), but I had never been there. Now we have! It is even more impressive in person. Among a broad range of scientific capabilities, the VLA addresses four primary science themes: measuring the strength and topology of cosmic magnetic fields; imaging young stars and massive black holes in dust-enshrouded environments; following the rapid evolution of energetic phenomena; and studying the formation and evolution of stars, galaxies and active galactic nuclei. The VLA is a long way from anywhere. We approached from the east, from I-25, and it is over 50 miles away—50 miles of passing almost nothing but beautiful scenery! 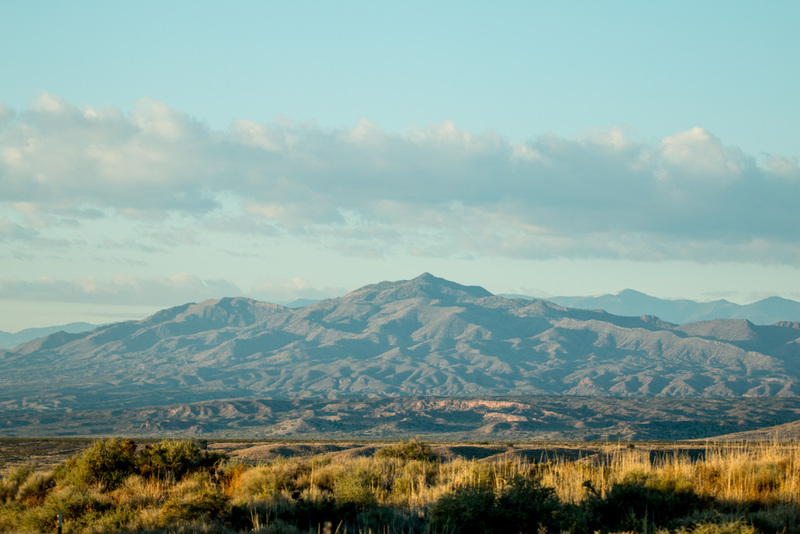 Located on the Plains of San Augustin, the site is both high at approximately 8,000 feet, and ringed by mountains. The height reduces the amount of atmosphere-induced distortion of the radio waves, something I had never considered. The mountains block most of the man-made radio interference. Any electronic devices you may have with you like cell phones, tablets, fitness trackers, smart watches, etc. must be turned off—completely. Digital cameras are (surprisingly) OK. Needless to say, having your cell phone off doesn’t matter as there is absolutely NO coverage! The 28 antennas are huge! The dishes are 25 meters (82 feet) across, and they over 200 tons each. When pointed up, they are 90 feet to the apex. You can’t really get an idea of how big until you have something to use for scale. Four flights of stairs and we’re not even up to the pivot! Twenty seven are in active use; there is always one in maintenance; they rotate through all the antennas to keep them all in good condition. 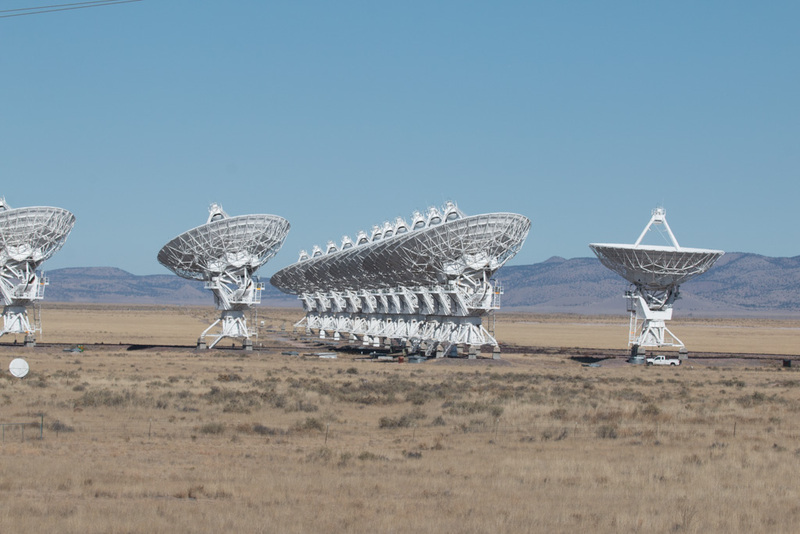 The VLA has four configurations, called “A” (far Apart), “B”, “C”, and “D” (Darned close together). The configuration is changed every four months, and we were very fortunate to visit when the telescope was in configuration D. In configuration A, each of the three arms of the telescope is thirteen miles long, and photography wouldn’t have been nearly as much fun! Antennas close together! The beauty of Configuration D.
The VLA is laid out in three legs radiating out from the center, spaced at 120°. Looking out the north leg, currently comprising 11 of the 27 antennas. 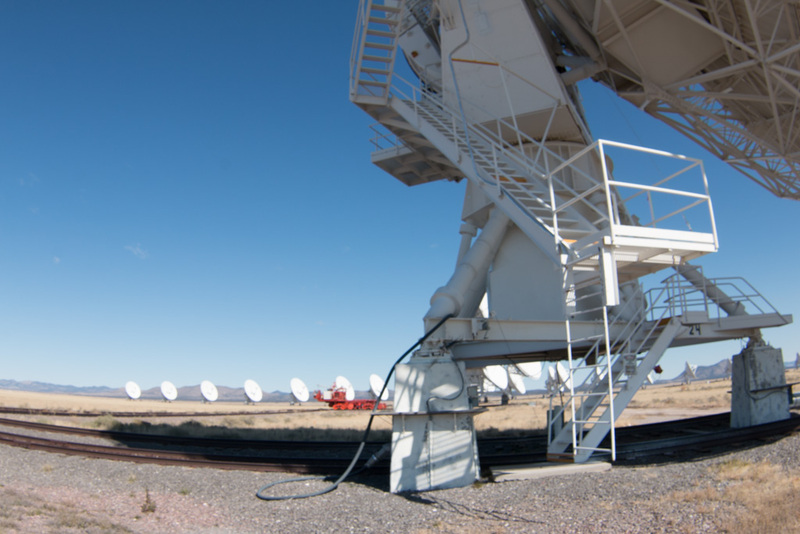 To reconfigure the array, and to bring antennas in for maintenance, they use a transporter. Top speed is 5 MPH; however when transporting an antenna, it usually moves about 2 MPH. Zero to two in… several minutes. The reason for the different configurations is that antenna spacing controls the field of view, how wide a portion of the sky it can view, and resolution, how small a feature it can distinguish. Close spacing (like now) offers a very wide field of view, but relatively poor resolution. The widest spacing, configuration A, views a much smaller portion of the sky, but can distinguish much smaller features. At its widest spacing, the telescope is about 22 miles across. 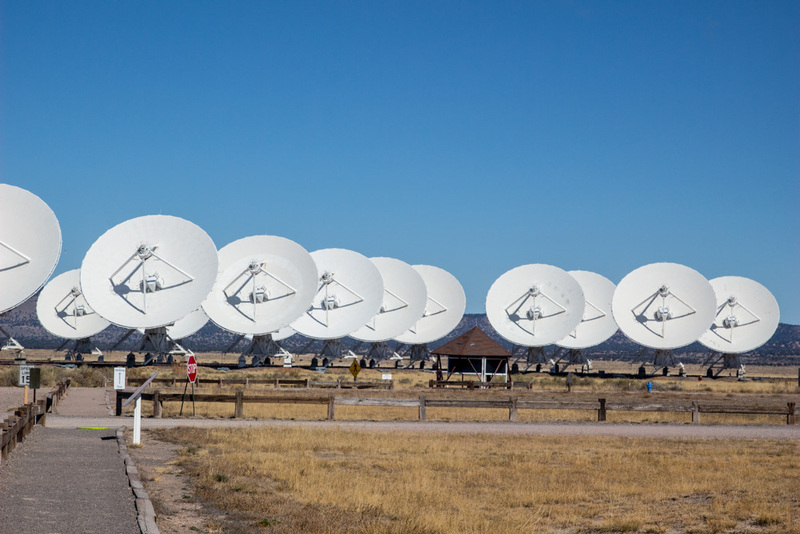 To allow even finer resolution, the VLA is one component of the VLBA, the Very Long Baseline Array, which has a maximum distance between antennas of 4971 miles (8000 km). 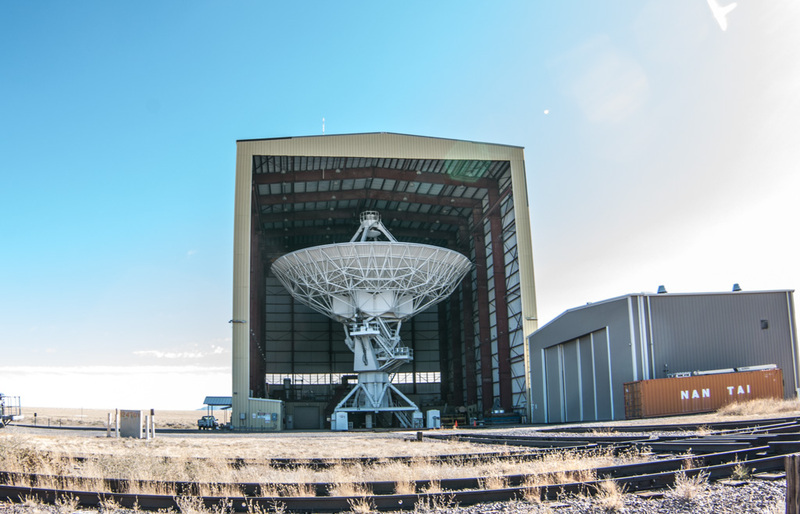 The VLBA is controlled from the same building as the VLA, in Socorro, New Mexico; the antennas are spread out from Hawaii to the U.S. Virgin Islands and points in between. If you want to see the VLA, go soon. Its replacement is currently in the works, called ngVLA, which will increase its power and its resolution at least tenfold. The individual dishes will be smaller, but there will be many, many more! More information is here, and here (FAQ). 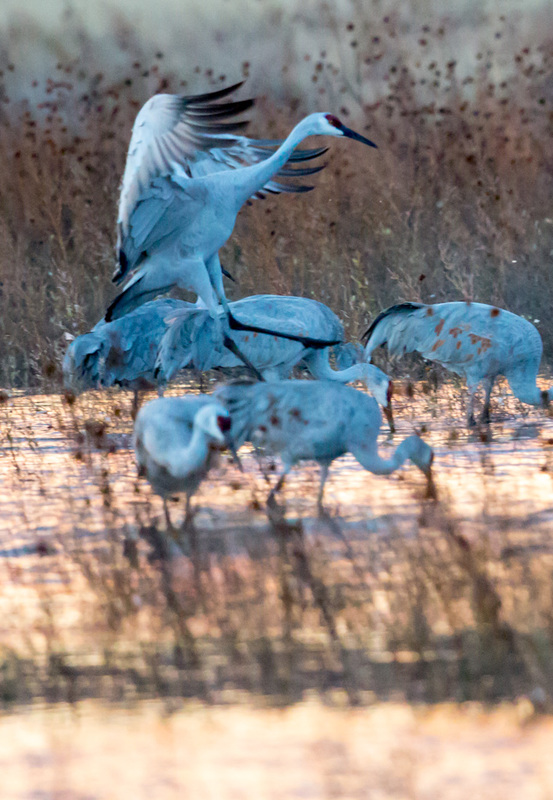 Several years ago I heard about a great place for bird photography, especially for sandhill cranes and snow geese. It wasn’t over-hyped! In the two days we spent there, we took on the order of 3,000 pictures! 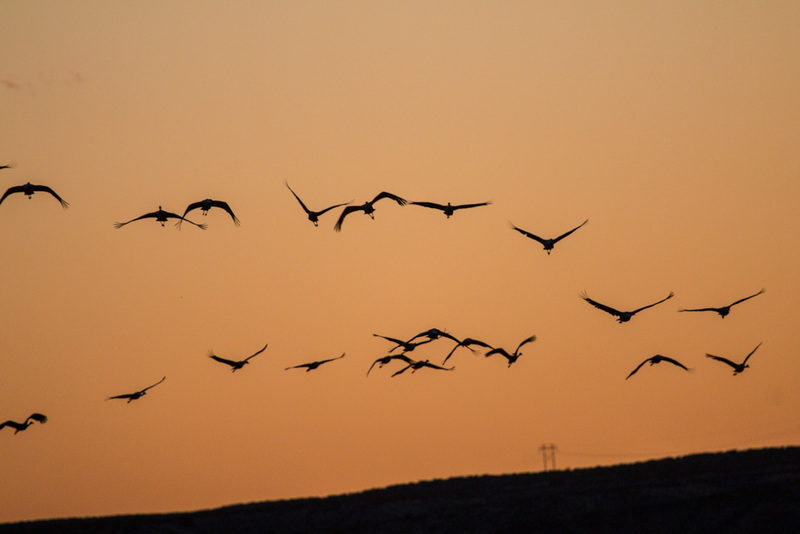 The peak of the bird population happens during the depth of the winter in December. 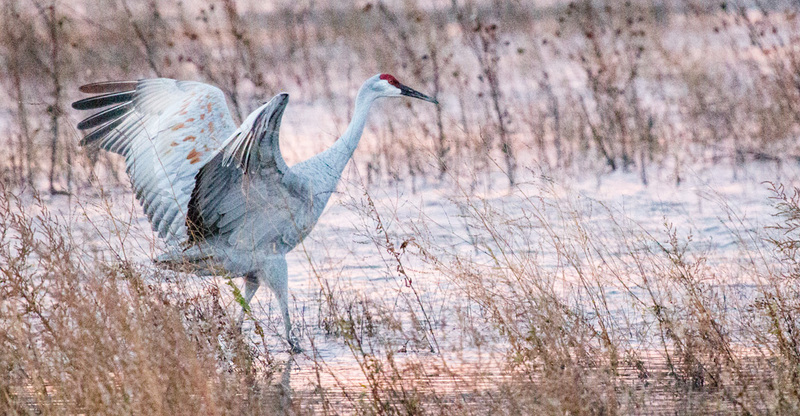 At that point they have approximately 20,000 sandhill cranes, 50,000 snow geese, and 50,000 ducks of various species. The refuge is heavily managed. The staff plant several food crops during the summer to feed the birds through the winter—mostly corn. They plan to feed 100 pounds of corn per bird across the winter. That is a LOT of corn! 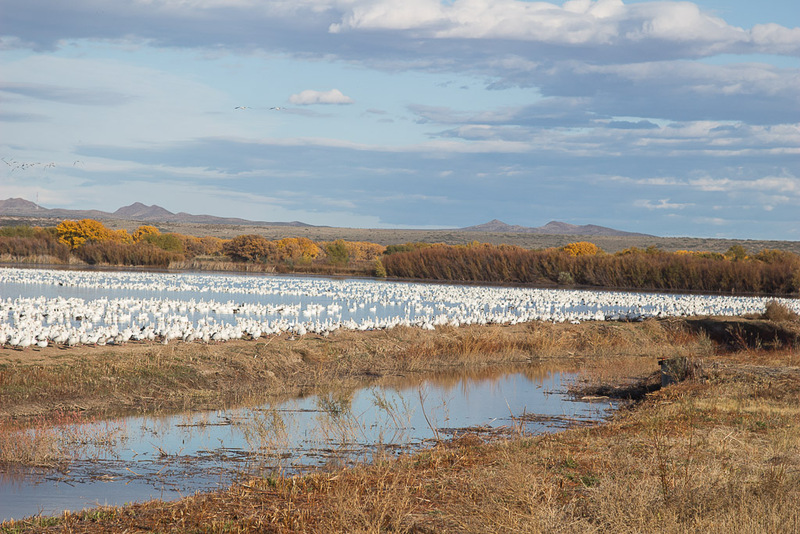 They also flood fields with water from the Rio Grande river to give more shallow water areas so the birds have safe places to spend the night. When we were there, only a few of the fields were flooded; more to come! 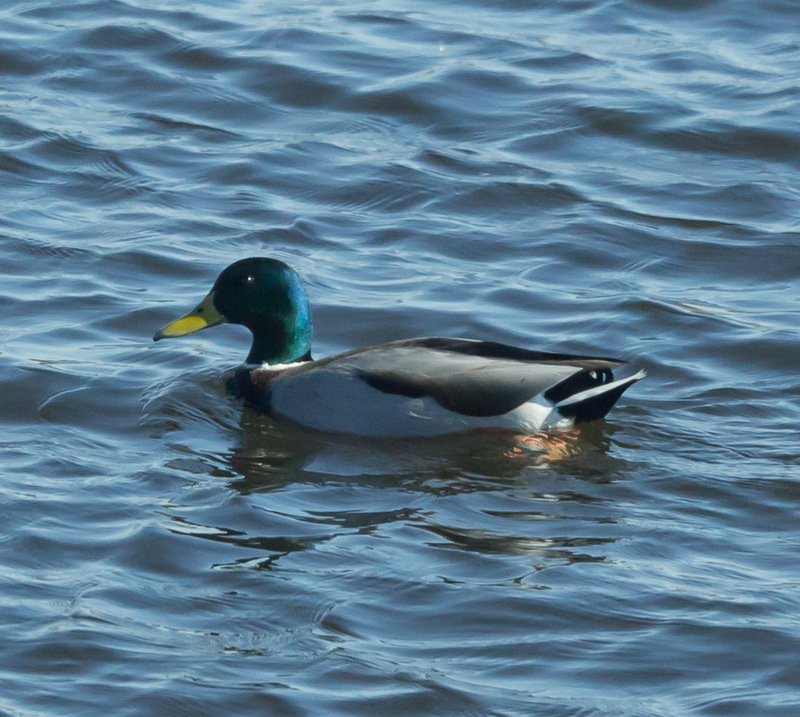 Even now in November, there are a phenomenal number of birds here. 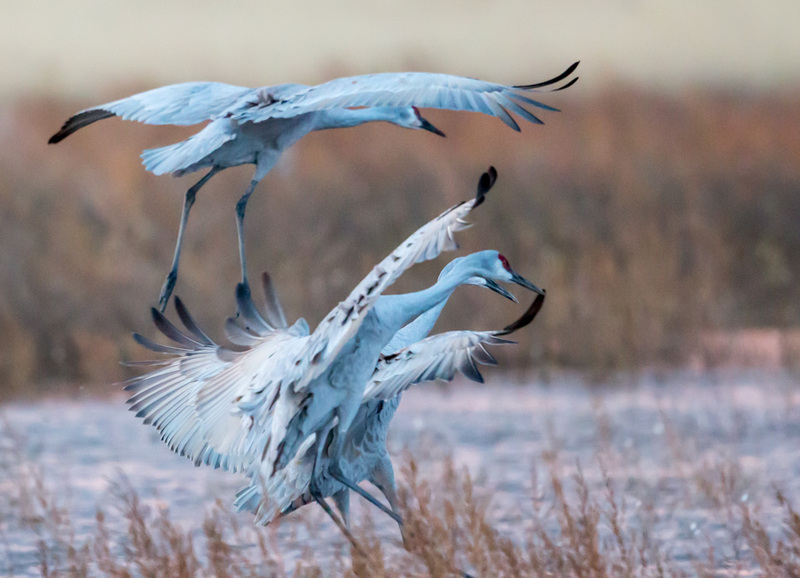 During the day, the birds are spread out widely across the 58,000 acres of the refuge. Even so dispersed, the density on any of the feeding areas is pretty high! Snow geese soaking up the rays. 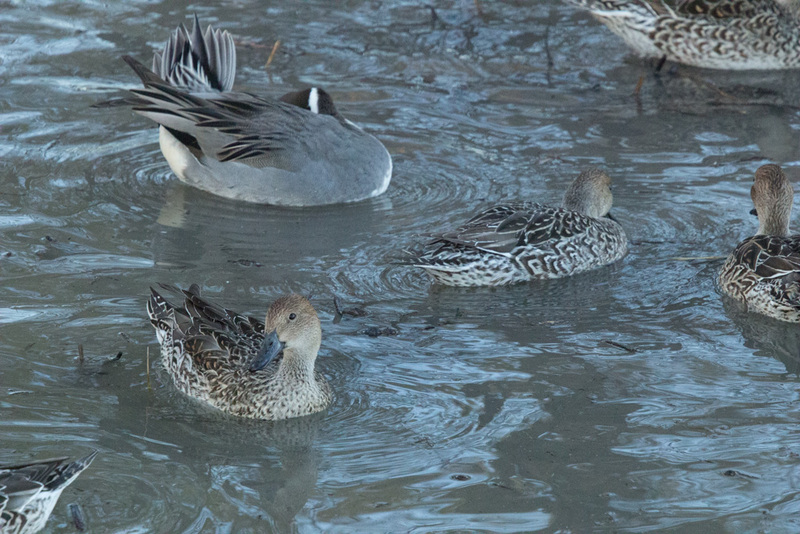 At night they congregate in a few, relatively small wet areas—being in shallow water protects them from many predators. This congregation into a few areas results in massive “fly-ins” and “fly-outs” at sunset and sunrise. Photographic heaven! Go ahead! 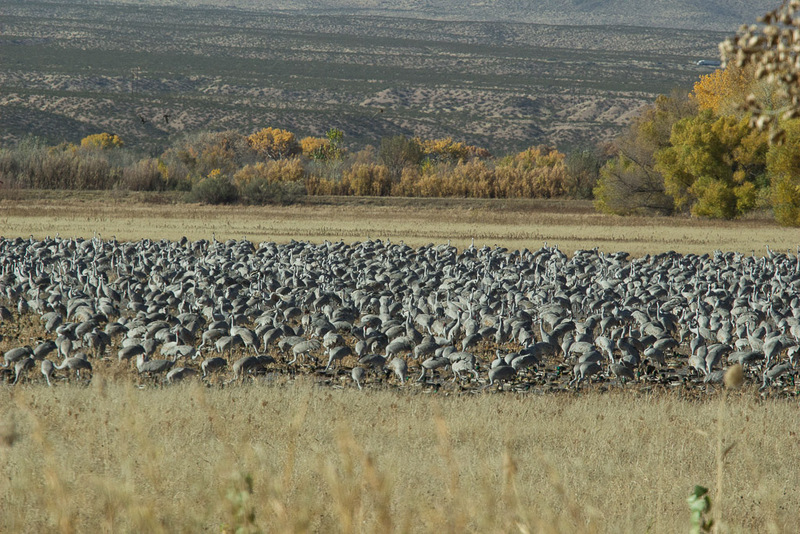 Count the sandhill cranes. I dare you! Predator spotted! 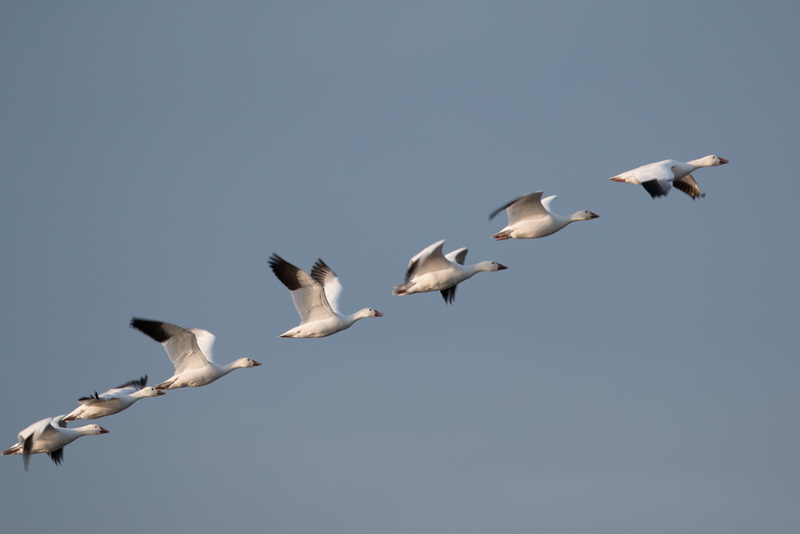 Snow geese flying out. Incoming! Sandhills arrived in groups like this continuously for over a half hour. During the second day, we took two (free!) tours with naturalists to find other birds which were located on the Reserve. Many were too far away to get good pictures of, but here are a few of the birds we saw. 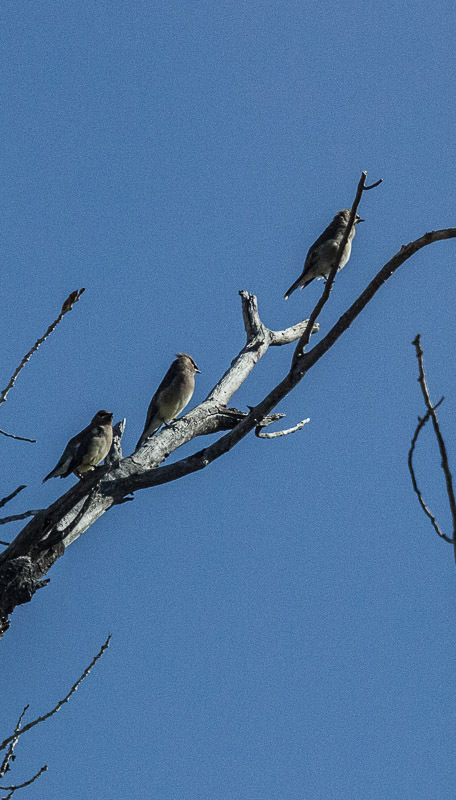 A trio of cedar waxwings – one of Kathe’s favorites! Phainopepla, the desert black cardinal. 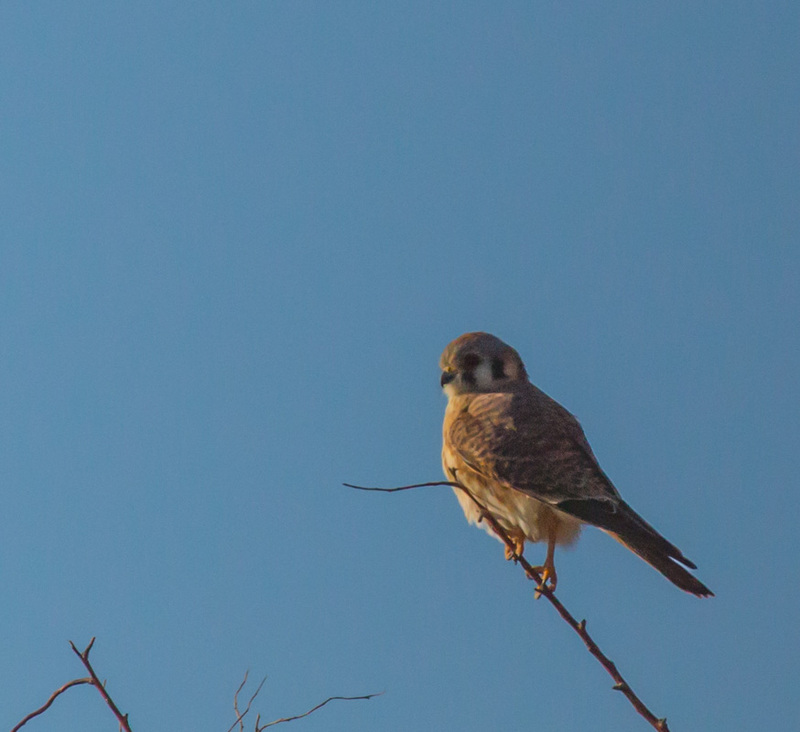 We think this is an American Kestrel, a small falcon. 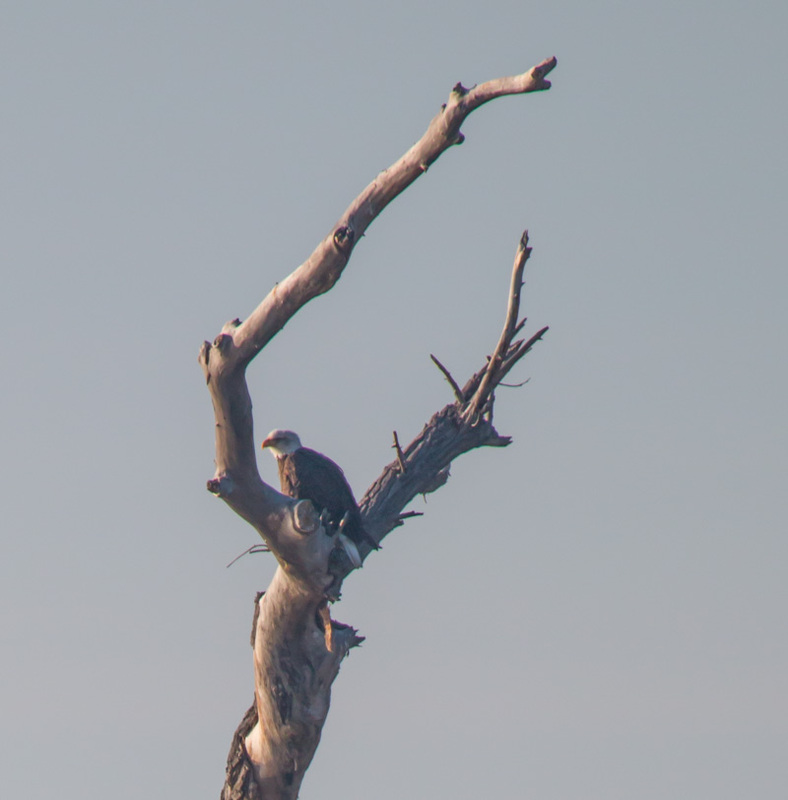 A bald eagle, in a snag. In addition to so many birds including quail and turkey, there are many other species of animals on the refuge including mountain lion, bobcat, jackrabbits, and lizards. 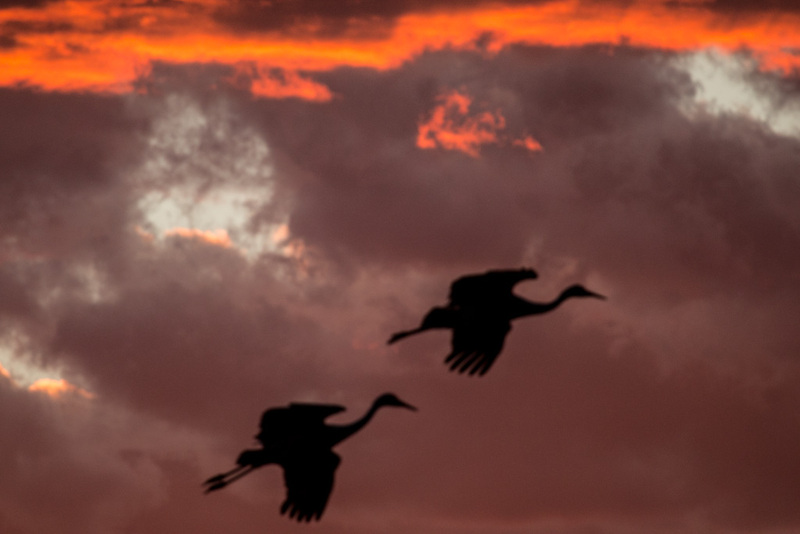 It will take us weeks to work through all of our refuge photographs! 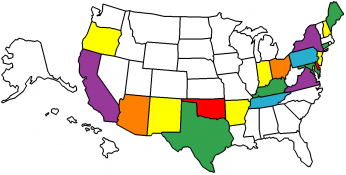 Based on this fabulous experience, we’ve decided we’d be thrilled to visit as many wildlife refuges around the country as possible. Fortunately, there are quite a few in Arizona where we will spend the winter. Yahoo! Previous PostCanyons, Cadillacs, and CaravansNext PostOn the moon? So, have they detected any unidentified radio transmissions with all those antennas? Are we sending some out there to the universe ? I understand there is a math/physics question that has been developed for transmission, if not already sent. They detected a strong signal coming from the vicinity of Vega, that was sending pulses in groups of increasing prime numbers! Oh… Wait. That was the plot of Contact! I don’t know about any of your questions. It would be cool if the answers were yes, though, wouldn’t it? What about the corn …. do they plant GMO for the birds , which yields more corn? We believe we saw this in a NWR in Chesapeake, MD, alongside some non gmo corn. This refuge did allow for bird hunting and farming. And yes, I do believe they have some unexplained transmissions that I think have been on the net. Wow, what an adventure Two wonderful adventures..Thank you for being a part of this.. And I always learn so many interesting things..
Hi Guys! We are enjoying all your commentary and great pictures. Can’t wait for your next report! After extensive arm-chair research, we believe your mystery bird is an American Kestrel, a small falcon. Definitely a kestrel. I used to take care of one when I volunteered at a wildlife rehab center a few years ago. Fabulous photos! This is certainly a must see place for any bird lover. 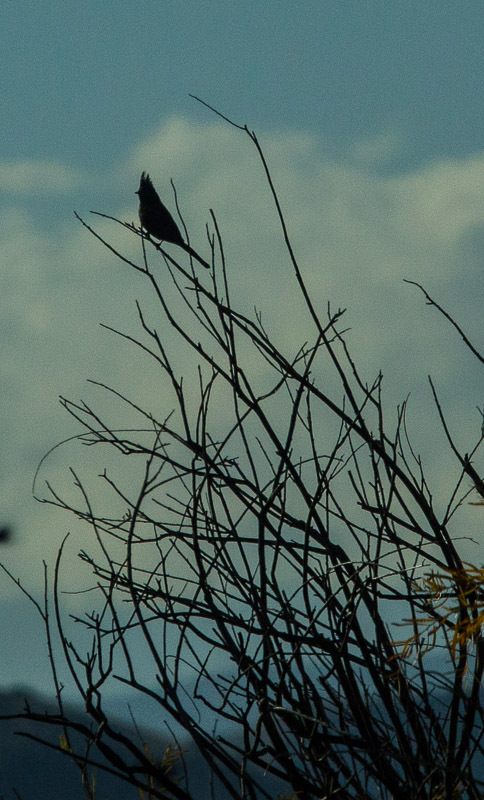 Cedar waxwings are one of my favorite birds too!